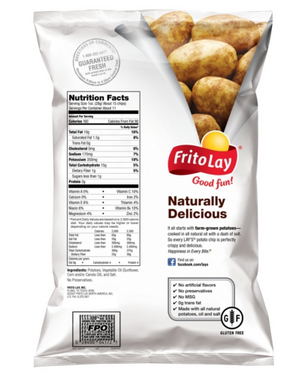 PLANO, Texas, May 18, 2012 /PRNewswire/ — PepsiCo’s Frito-Lay North America division today announced a multi-year initiative to validate many of their products as gluten free, with package labeling to follow. Since many of the company’s snacks, such as Lay’s Classic potato chips and Fritos Original corn chips are made from simple ingredients like corn or potatoes, they are, and always have been, naturally made without gluten ingredients. 2 Pings/Trackbacks for "Frito Lay works on their Gluten Free Accredidation"